EuroQuest is a unique blend of tournaments and open gaming, providing a competitive forum for the play of popular “European” style boardgames in an in-depth format not available elsewhere. All tournaments provide multiple opportunities to compete in the same game. EuroQuest offers a wide variety of activities for the non-tournament gamer, including prize drawings, designated open gaming space with access to the GCOM games library, new game demos (including some hot new releases from Essen and the United States), demos of new games and prototypes by game designers, and more. Check for details on the EQ Presents page, which will be updated regularly right up until the week before the convention. All of the tournament rules and activities are summarized here. Details of specific items and scheduled events will be updated in the weeks leading up to this year’s EuroQuest. 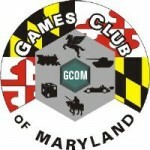 EuroQuest is an official event of the Games Club of Maryland (“GCOM”). For more information about GCOM, see www.gamesclubofmd.org Attendees must agree to adhere to all by-laws of GCOM, as well as the GCOM standards.